Having a normal baby monitor may be adequate if you live in a smaller house, but how can you ensure your child’s safety if you live in a bigger house or if you pop over to your neighbor’s house? How can you keep an eye on them if you want to do some work in the garden? The solution is a long-range baby monitor. Thankfully, there is a vast collection to choose from. The only thing that remains is finding the best one to suit your needs. 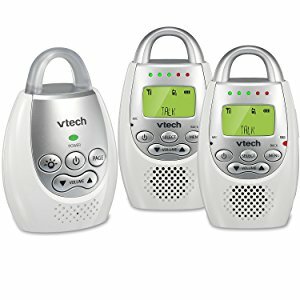 These three baby monitors really stand out from the crowd and offer features that you will love. 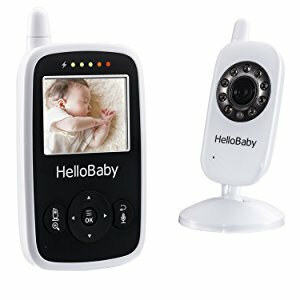 This one is my absolute favorite, and this outstanding LR baby monitor gives you everything you need. Thanks to the patented DECT technology, we can feel completely safe in the knowledge that your little ones are okay. This is because the technology guarantees an interference-free experience with an incredible range of up to 900 feet. That’s more than enough distance, no matter what you plan on doing with your days. 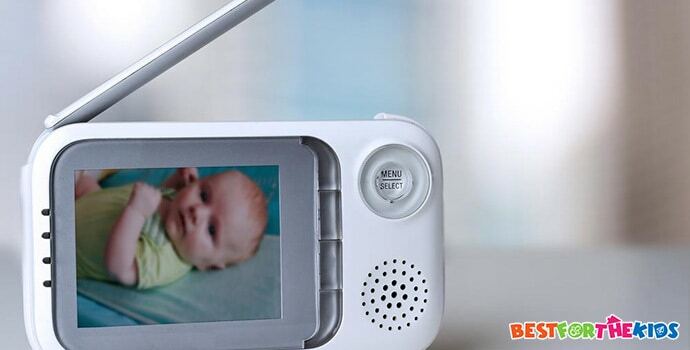 When duty calls, you can even comfort your baby through the monitor using the handy talkback feature. What’s more, integrated into the monitor there’s a selection of lullabies and a night light. These features are all ideal for ensuring your baby can sleep sweetly. What's Great About It: One of the leading features of this unique monitor is the integrated temperature system. This means that you can easily monitor the temperature of your baby’s room to ensure that it’s perfect. If you’re in need of a superior baby monitor that’s packed with features, this monitor is for you. Using the market-leading 2.4GHZ wireless connection, you’ll be able to see and hear everything. 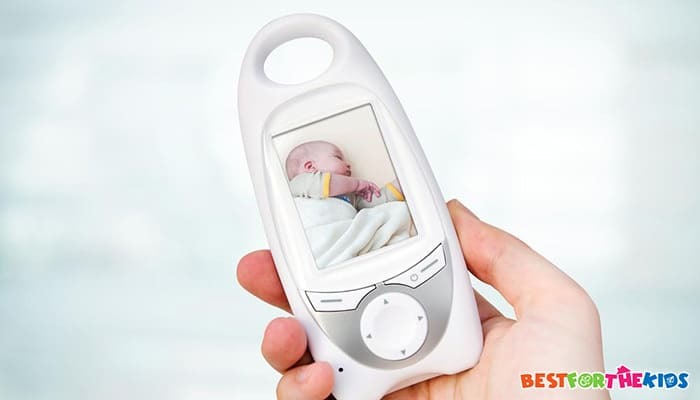 You can even view a full-HD real-time feed of your baby’s environment thanks to the integrated LCD-screen. This camera and audio feed stays seamlessly connected up to an incredible range of 960 feet. That’s more than enough distance to keep that all-important eye on your bundle of joy. Furthermore, you can connect up to four cameras to the handset. This gives you the opportunity to be completely safe and secure when it comes to your baby’s well-being. What's Great About It: In addition to all these amazing features, there’s also a temperature control and zoom function. This means you’ll be aware of everything that’s going on in your baby’s room without having to be there. To conclude my list of favorites, I’ve chosen this multi-functional monitor from VTECH. With your purchase, you’ll have both the base and the handset. This gives you everything you need to get started when it comes to monitoring your baby. This model also includes the exclusive DECT 6.0 technology, always providing you with a crystal-clear broadcast. There are five unique sound indicator levels to explore, all the details of which are clearly shown on the high definition LED screen. With two-way communications and built-in features to help your baby sleep, this monitor truly is everything you could need. What's Great About It: With your purchase, you’ll also find a pair of rechargeable batteries to use with your device. These batteries will power your handset for up to 18 hours of non-stop monitoring. That’s more than enough charge, no matter what your plans are for the day or night. To ensure you’re making the perfect purchase, you need to be sure in exactly what you’re buying. To give you a helping hand, here are some key things to look out for while shopping for the ideal device. This is an essential feature that you must consider. Thankfully, all the monitors in my list don’t use a Wi-Fi connection. This means it’s much harder to hack the monitor using standard practices. This helps to protect you and your family’s safety and privacy. No matter what device you purchase, always check to make sure there is some kind of security feature in place. 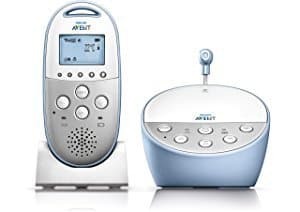 The leading baby monitor protection system is known as DECT. By choosing a monitor with this technology, you can guarantee your baby's safety. As you’d expect from a long-range baby monitor, the range of your device is important. When it comes to range, bear in mind what the distances mean. If you have a lot of walls between your handset and the base, the reception will be shorter. If you’re using your device outside, you’ll be able to achieve maximum distance. When choosing your preferred device, find a device with the longest range that matches your budget. If you decide on a device with a high frequency, you’ll be able to enjoy a much clearer experience. This applies to both video and audio channels. If your device is suffering from interference, you won’t be able to hear or see what’s going on clearly. In some cases, you may even experience ‘lag.’ This is where the image shown on your device isn’t in real-time, and it’s slightly delayed. The picture and the audio may even freeze if the interference is too much. Instead, look for a device where the manufacturers have proactively minimized interference. This is sure to give you the best monitoring experience. Thanks to the advancements in modern technology, monitoring your baby has never been easier. List out everything you’ll need when it comes to choosing the right baby monitor for your family. This includes the distance that you’ll require and the type of connection you prefer. With this information, you’ll be able to choose the perfect long range baby monitor for you.